This week, in University of Maryland v. Multi, Medical Systems, the Maryland Court of Appeals reversed the Court of Special Appeals on a topic that has gone relatively untouched until recently: “use plaintiffs” in wrongful death cases. 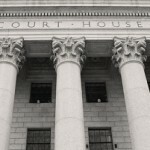 This appeal involved a medical malpractice wrongful death and survival action claim brought by two men who alleged that University of Maryland Medical Systems (“UMMS”) doctors negligently tore their father’s trachea during an intubation procedure after he had an acute myocardial infarction. Plaintiffs’ malpractice attorneys’ alleged the doctors failed to timely treat the torn trachea which led to complications that caused their father’s death. Baltimore City Circuit Court Judge Evelyn Cannon dismissed this plaintiffs’ wrongful death claim with prejudice after the hospital filed a motion seeking dismissal because a long lost adopted son of the decedent was not named as a use plaintiff on the Complaint. When I wrote about the Maryland Court of Special Appeals opinion last year, I was under the impression that the plaintiffs’ lawyers learned of the adopted son in deposition. But this was flushed out in oral arguments. Plaintiffs’ lawyers told the court that counsel knew of the adopted son but could not find him (or even knew if he was alive). 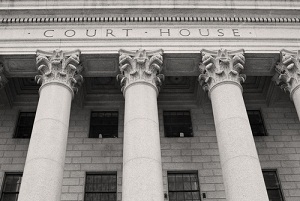 The Court of Special Appeals reversed the trial court, finding an abuse of discretion in now allowing the plaintiffs leave to amend the complaint to add the use plaintiff. The Maryland high court began by flushing out the history of the wrongful death statute. It is funny, there are some things lawyers know about the law but really can’t explain them. I understood how to follow the Maryland Rules and applicable statutes for filing a wrongful death claim, but I would not have been able to break it down conceptually before reading this case. In this case, the hospital tried to take this rule of law and take it to the next level: plaintiffs who bring a wrongful death lawsuit without naming every beneficiary should be dismissed. The argument is easy enough to follow: the statute compels a wrongful death lawsuit to be a single action on behalf of everyone who is making a wrongful death claim. Why such tough medicine for an administrative failure when the plaintiffs and their lawyers were honest about the existence of the potential beneficiary? The hospital claimed that “wrongful death beneficiaries repeatedly frustrate the Act’s purposes by filing actions that seek recovery only for themselves to the exclusion of other primary beneficiaries whom they consider unworthy or insignificant.” The only way to stop the insanity (distinguished from Linsanity), the hospital argues, is some sort of “did not name the use plaintiff” death penalty. The hospital is really creating a crisis out of thin air. Defense lawyers, who have to be at times calm and cool about abject human suffering, can be so florid and dramatic when making public policy arguments about issues that are never a practical concern for actual humans. No doubt, the use plaintiff rule has logical underpinnings, affording defendants protection they deserve from claims that come out of left field. But does the failure to add use plaintiffs really happen all of the time like some pandemic? Are defendants being prejudiced by these exclusions left and right? Really? If so, name a time in Maryland history that someone was left off a complaint, the case got resolved, and then the defendant was holding the bag on another wrongful death claim. It has not happened. The Maryland high court agreed with the Court of Special Appeals that it just does not makes sense to leave potential worthy plaintiffs out in the cold over this hyper technicality. The CSA way of promulgating this rule was by finding that the trial court should have granted leave to amend the complaint. The Court of Appeals was more direct: it is an abuse of discretion to dismiss a wrongful death claims as a sanction for the failure to add a use plaintiff. The case will now go back to Baltimore City Circuit Court to be heard on the merits. As it should.